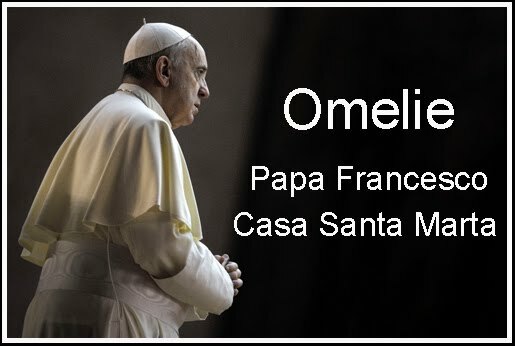 Alle ore 10 di questa mattina, nella Sala Clementina del Palazzo Apostolico Vaticano, il Santo Padre Francesco ha ricevuto in Udienza gli Ambasciatori di Yemen, Nuova Zelanda, Swaziland, Azerbaijan, Ciad, Liechtenstein e India, in occasione della presentazione delle Lettere Credenziali. porgo un caloroso benvenuto a tutti voi per la presentazione delle Lettere, che vi accreditano come Ambasciatori Straordinari e Plenipotenziari presso la Santa Sede da parte dei vostri rispettivi Paesi: Yemen, Nuova Zelanda, Swaziland, Azerbaijan, Ciad, Liechtenstein e India. Vi chiedo cortesemente di trasmettere ai Capi di Stato dei vostri Paesi i miei sentimenti di apprezzamento e stima, e di assicurarli delle mie preghiere per loro e per i popoli che essi servono. Your Excellencies, I extend a warm welcome to all of you for this presentation of the Letters accrediting you as Ambassadors Extraordinary and Plenipotentiary to the Holy See on the part of your respective countries: Yemen, New Zealand, Swaziland, Azerbaijan, Chad, Liechtenstein and India. I would ask you to convey to the Heads of State of your respective countries my sentiments of appreciation and esteem, and to assure them of my prayers for them and the people they serve. At the beginning of your new mission, I am conscious of the diverse countries you represent, and of the various cultural and religious traditions that characterize the history of each of your nations. This gives me the opportunity to emphasize the positive and constructive role that such diversity plays in the concert of nations. The international community faces a series of complex threats to the sustainability of the environment and of the world’s social and human ecology, as well as risks to peace and concord stemming from violent fundamentalist ideologies and regional conflicts, which often appear under the guise of opposing interests and values. Yet it is important to remember that the diversity of the human family is not itself a cause of these challenges to peaceful coexistence. Indeed the centrifugal forces that would drive peoples apart are not found in their differences but in the failure to set out on the path of dialogue and understanding as the most effective means of responding to these challenges. Your very presence here is a reminder of the key role that dialogue plays in enabling diversity to be lived in an authentic and mutually enhancing way in our increasingly globalized society. Respectful communication leads to cooperation, especially in fostering reconciliation where it is most needed. This cooperation in turn assists the progress of that solidarity which is the condition for the growth of justice and due respect for the dignity, rights and aspirations of all. A commitment to dialogue and cooperation must be the hallmark of every institution of the international community, as well as of every national and local institution, for all are charged with the pursuit of the common good. The promotion of dialogue, reconciliation and cooperation cannot be taken for granted. The delicate art of diplomacy and the arduous craft of nation-building need to be learned afresh with each new generation. We share the collective responsibility to educate our young people about the importance of these principles that sustain the social order. Passing this precious legacy on to our children and grandchildren will not only secure a peaceful and prosperous future but will also meet the demands of intergenerational justice and of that integral human development that is the right of every man, woman and child. Dear Ambassadors, as you take up your high responsibilities in the service of your nations, I assure you of the support of the various offices of the Holy See. I offer you my prayerful best wishes for your important work, and upon you, your families, and all your fellow citizens, I willingly invoke an abundance of divine blessings. Thank you.